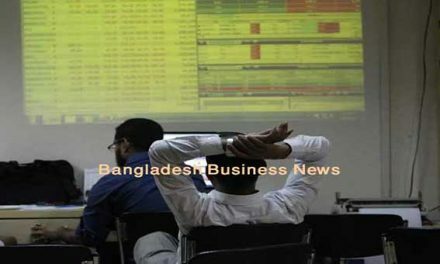 Dhaka, Bangladesh (BBN)– Bangladesh’s imports grew by nearly 11 per cent in the H1 of FY 19, following a 48.98 per cent increase in import of mostly construction materials as intermediate goods, officials said. The actual import in terms of settlement of letters of credit (LCs) rose to US$27.32 billion during the first six months of FY 19 from $24.66 billion in the same period of the previous fiscal, according to the central bank’s latest statistics. Talking to the BBN, a senior official of the Bangladesh Bank (BB) said import of construction materials particularly scrap vessels, cement, clinker and BP sheet, pushed up the overall imports expense in the H1 of FY 19. However, import of intermediate goods, like – coal, hard coke, clinker and scrap vessels etc, rose to $2.85 billion in the July-December period of FY 19 from $1.91 billion in the same period of the previous fiscal. Implementation of different mega infrastructure projects including Padma Bridge and metro-rail projects consumed the lion share of intermediate goods, the central banker explained. He also expects the existing upward trend in import of intermediate goods might continue in the coming months. Currently, the government is implementing ten prioritised projects under the supervision of a Fast Track Project Monitoring Committee, headed by Prime Minister Sheikh Hasina, for ensuring their quick execution. 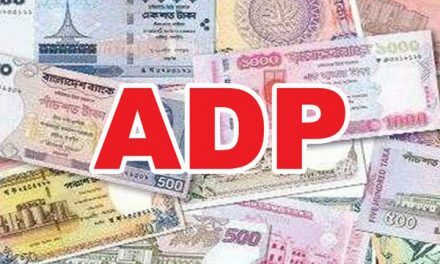 “The steady growth of imports may continue in the near future following implementation of different infrastructure projects across the country,” Syed Mahbubur Rahman, chairman of Association of Bankers, Bangladesh (ABB), told the BBN. He also urged the authorities concerned to expedite monitoring and supervision should be strengthened to curb the import of ‘unnecessary’ luxurious items for keeping the country’s overall of balance of payments (BoP) situation stable. Meanwhile, import of capital machinery or industrial equipment used for production, dropped by 5.00 per cent to $2.41 billion from $2.53 billion, the BB data showed. Higher import of petroleum products also pushed up the overall import expenses during the period under review, another BB official said. Import of petroleum products rose by 45.66 per cent to $2.03 billion in the first six months of FY 19 from $1.39 billion in the same period of the FY 18. The central banker also said the upward trend in term of quantity in fuel oils import may continue in the coming months following diversified use of the gasoline products, particularly for power generation. Industrial raw material import also rose by 10.56 per cent to $9.60 billion during the period under review from $8.68 billion in the same period of FY 18. Meanwhile, import of food grains, particularly of rice and wheat, dropped by 54.71 per cent to $694.01 million from $1.53 billion. Import of consumer goods also decreased by 30.35 per cent to $2.67 billion during the period under review from $3.83 billion, the BB data showed.